Lisa's Wedding World Game, set, match as Murray says I Do! Game, set, match as Murray says I Do! 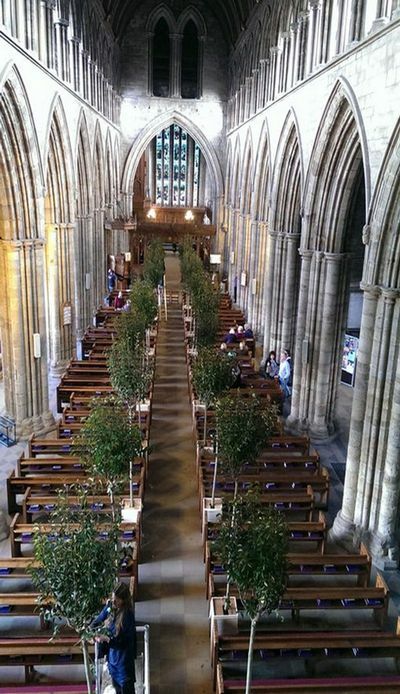 The eyes of sporting fans around the world were on Dunblane Cathedral yesterday as tennis star Andy Murray married his partner of ten years Kim Sears. I’m a huge fan of Kim’s style courtside but her style up the aisle disappointed me. 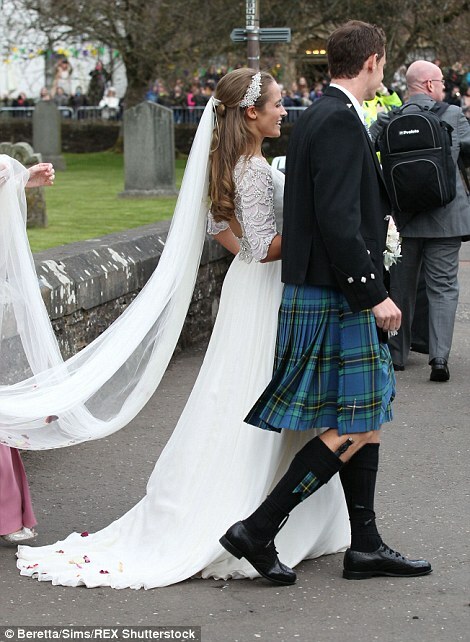 She chose well with designers with her gown reported to be Jenny Packham but the amount of material swamped her petite frame. Kim has an enviable figure and she could have easily pulled off a Pippa Middleton esque look but chose to cover up. 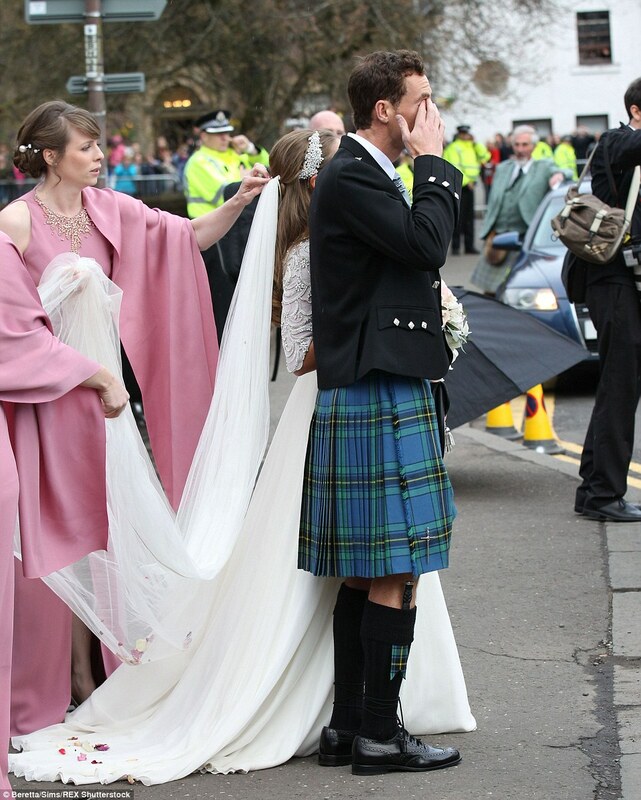 The detailed sleeves were stunning, embellished with Swarovski crystals, but the skirt drowned her and it looked like it was hard to walk in too. Kim’s hairstyle for me was a little safe, she chose half up, half down with curls. 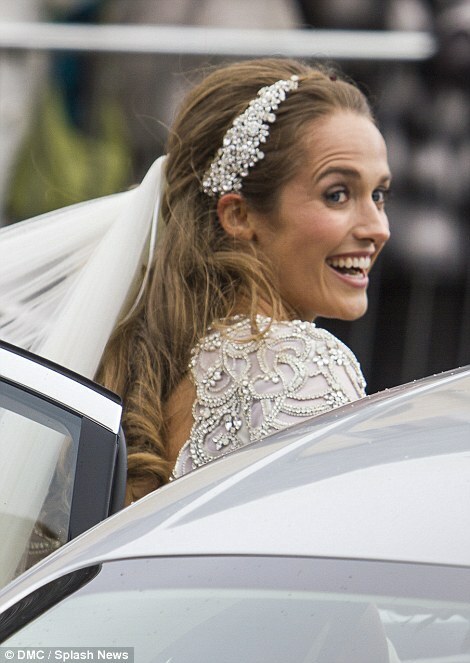 Kim chose more embellishments in her hair piece and added a cathedral length veil. Kim walked up the aisle in Jimmy Choo ‘Lottie’ sandals. 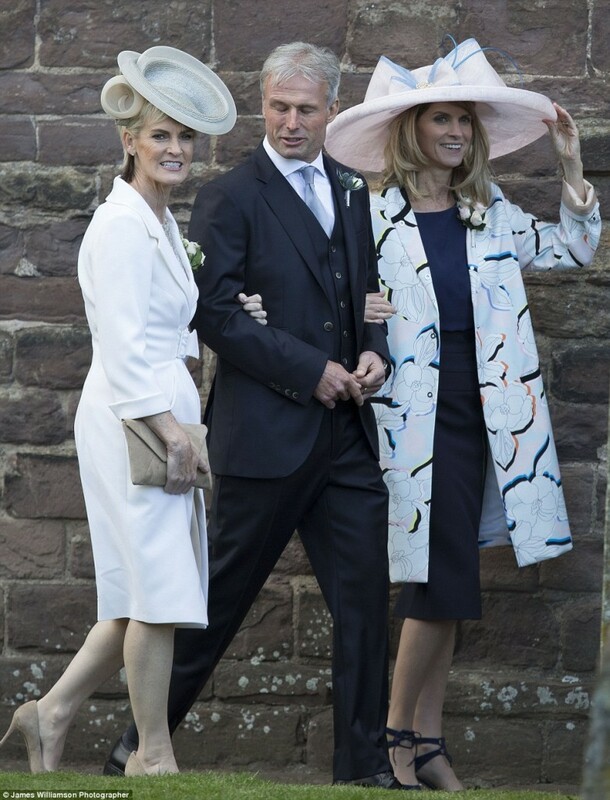 Bridesmaids wore dusky pink dresses with embellishments on the neckline, Judy Murray wore a cream and gold ensemble while the mother of the bride wore a navy dress, white coat with dashes of colour and a dusky pink hat to complement the bridesmaids. 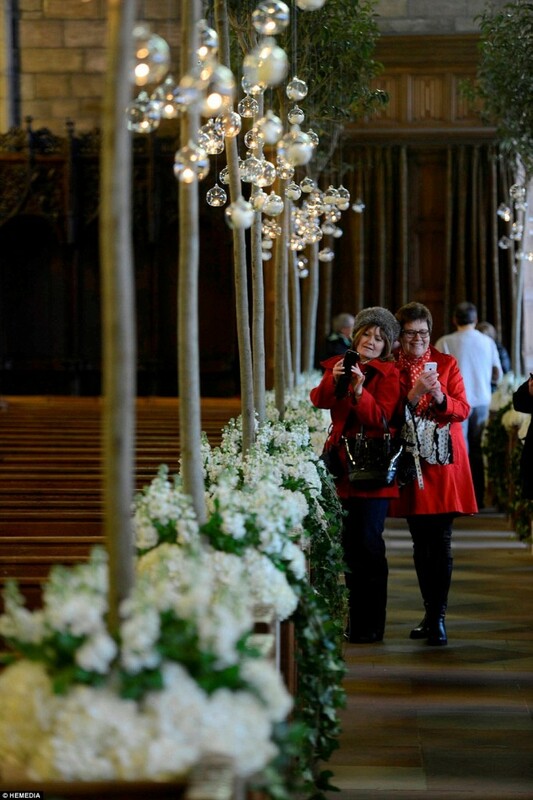 Dunblane Cathedral was adorned with greenery and white hydrangeas as well as glass bauble decor up the aisles. 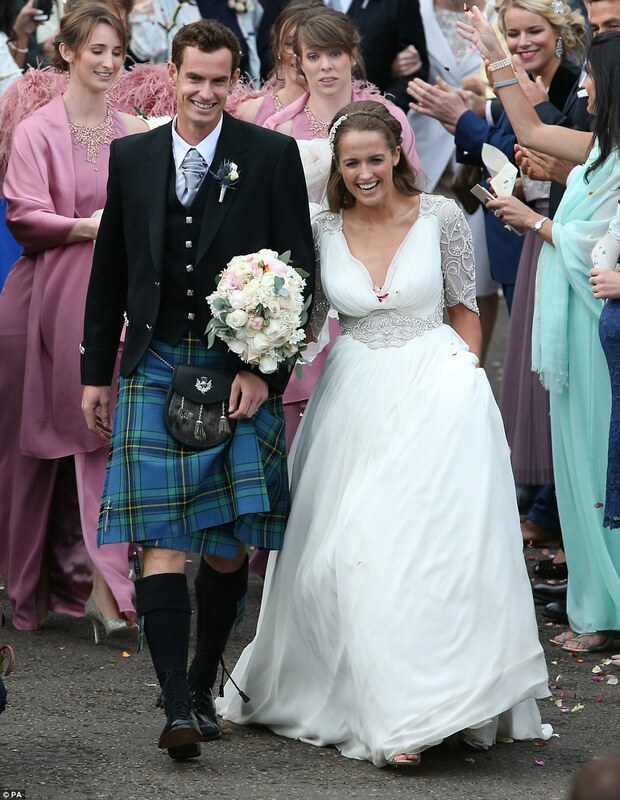 Mr and Mrs Murray celebrated their reception in Cromlix Country Hotel, owned by the tennis star. They are a super strong couple and I wish them the best! Let me know what you think of Kim’s bridal look on my Facebook page.